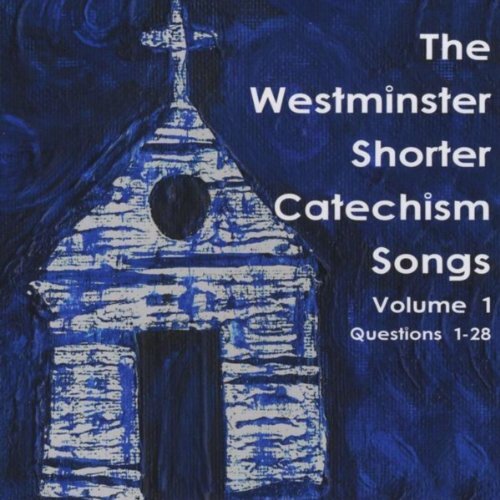 This page is the list of the best resources for the Westminster Shorter Catechism, especially geared towards teaching it to your kids. 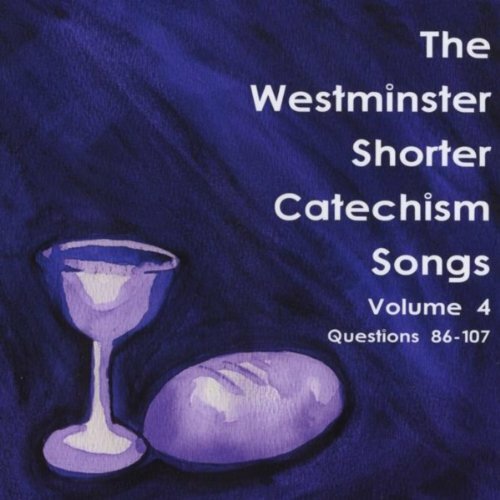 This page is the list of the best resources for the Westminster Shorter Catechism for kids. 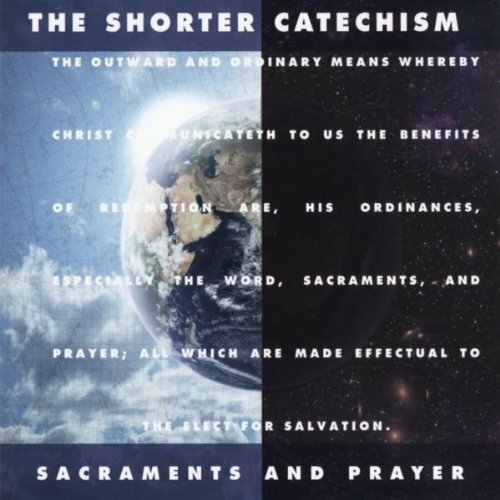 (This resource list is geared toward kids or families as a whole, you can read more about why I think we should use the catechism here and I also plan on writing more and having more resources and links to quality articles soon). This list is a work in progress! Be sure to check back as additional information is added. This page was last updated on 05/24/2017. And please, if you know of something else I haven't listed here, contact me! Some links in this post are affiliate links - which means you pay the same price you would if you didn't click through the link, but clicking the link helps support this site. Read my full disclosure policy here. You can see all the questions on this page from The Westminster Standards. They also have created some study tools you can access online here as well. You can buy it in a variety of formats on either Amazon or Westminster Bookstore. Depending on the quality of the actual book you want, the prices will vary. I would recommend this one (small and inexpensive) or this one (with ESV proof texts). Important Note: If you are wondering where to start with the music aspect, I would highly recommend trying out a free 30 day trial to Amazon Music Unlimited as you will then have access to almost ALL of the songs below for free! That way you can see if you want to stick with the subscription or perhaps just use it to decide which albums (physical or digital) you want to buy! Music is also so helpful in learning anything and really keeping it in your mind. 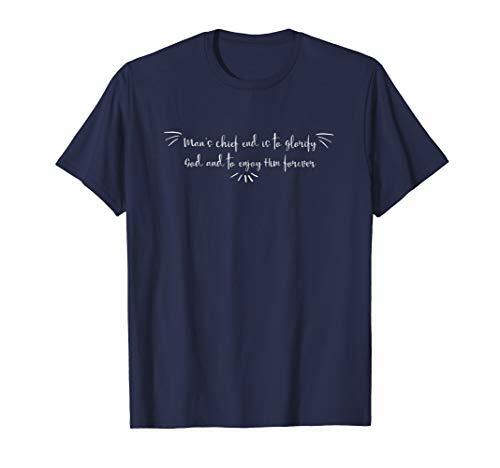 They are catchy and can be repeated easily. There are two artists who have put the questions to music. (Must have!) Holly Dutton has done a great job of putting all the questions and answers to music in four volumes. Volume 1 contains questions and answers 1-28, Volume 2 contains questions and answers 29-56, Volume 3 contains questions and answers 57-85, and Volume 4 contains questions and answers 86-107. Bruce Benedict has also done a great job of putting the words to song if you're looking for a different feel. Volume One contains questions and answers 1-38. Then Sacraments and Prayer contains questions and answers 86-107. 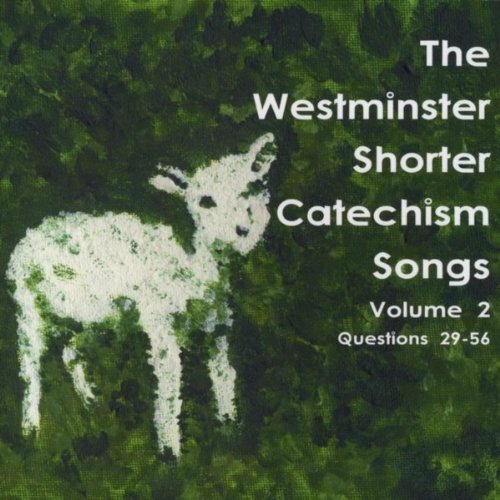 The Westminster Shorter Catechism: For Study Classes by G I Williamson - Although many people use this book for junior high level classes, I think this is a great resource for families working through the Shorter Catechism as well, whether as part of a homeschool curriculum or just for family teaching. Each question is broken down and explained in detail. There are often illustrations and great analogies used. 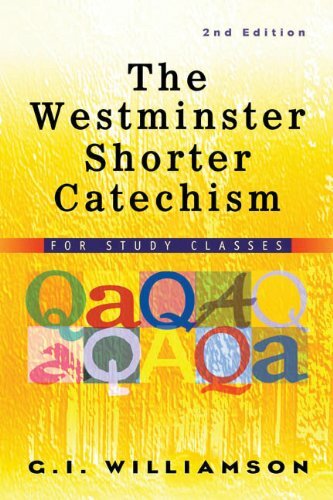 If you are a little weary of teaching the Westminster Shorter Catechism to your kids, I would pick this book for help in determining how to explain some of the concepts. Even if you are working with very young kids, this book could help you think through how to communicate the truths of Scripture and the catechism to their level. 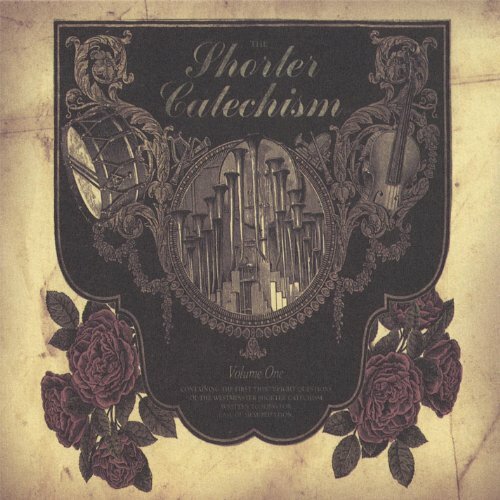 I have often referenced this book when I want to teach my kids the children's catechism too. You can also buy this book from Westminster Bookstore (where it is usually cheaper). 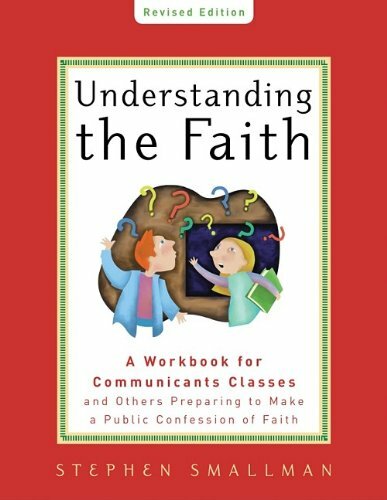 Understanding the Faith by Stephen Smallman - Again, although this book is targeted for classroom settings, it is a great resource to have in your home. It is in workbook form (so be sure you pick up multiple copies if you have more than one child who will be going through it). 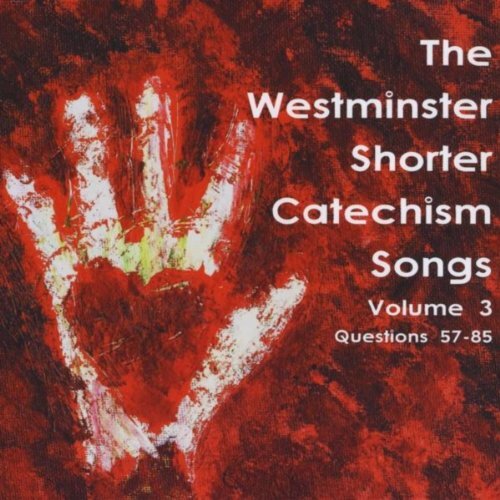 It walks through essentials of the Christian faith, using mostly The Westminster Shorter Catechism. This workbook is broken down into 17 sessions, and the pages have places for kids to look up passages and answer questions or do pretty simple copywork. This would be a great place to start with kids who are really wondering about church and becoming communicants. I would think this workbook is best for ages 7 to about junior high. 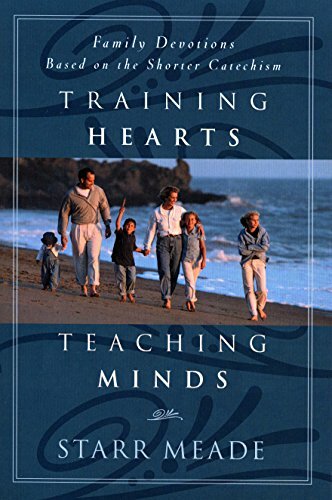 Training Hearts, Teaching Minds: Family Devotions Based on the Shorter Catechism - We haven't used this book yet but I've heard great things about it and plan to use it soon. Just like the others above, you can also buy this book from Westminster Bookstore (where it is usually cheaper). Cards - I don't have these but found them the other day when I was browsing Westminster Bookstore and thought they would be fun for kids who like different formats. If you're looking for the resource page for the Children's Catechism, click here.